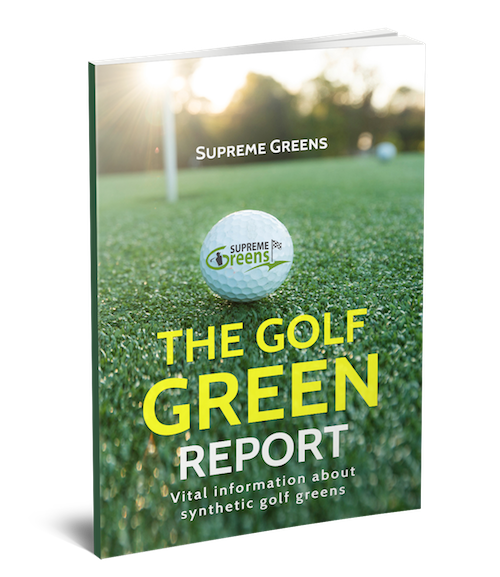 Don't even think about installing a synthetic golf green until you read this FREE report. Instant access and covers all the most important aspects you need to make an informed decision. Get immediate access to the Golf Green Report. The comprehensive (and free) guide that gives you all the necessary information to decide whether a synthetic golf green if the right fit for you. Enter your details for instant access. I value your privacy and would never spam you. Your details are never sold, rented or given away. Buyer Beware: Not all synthetic grass is the same. Choose wisely because some synthetic golf grass has a fatal flaw. Find out how much a "proper" synthetic golf green is going to cost. What is the best grass to use? Discover the only grass that has been manufactured specifically for golf. This soft, yet incredibly tough, grass has to be seen to be believed. Do you go with DIY or full install? Work out the best option for you. Save time and money and make the right decision. Avoid these green destroying (and costly) mistakes at all costs.